Lloyd’s comments about alternative capital in reinsurance and ILS has changed dramatically over the last few years, from Chairman John Nelson’s 2013 warning that third-party capital in reinsurance could lead to systemic issues in the market, to a much more accepting and positively welcoming tone that we see today. The release of the annual report sees this tone becoming even more positive, laying out the engagement plan and suggesting that Lloyd’s has reached a stage where it realises that it has to welcome alternative capital into the market, on a more wholesale basis, as it really does face a risk of losing out if it doesn’t. And it all revolves around Lloyd’s desire to play a key role in the innovation of insurance and reinsurance market’s, the evolving nature of risk transfer and risk capital, as well as the continuing digitisation of risk transfer and the emergence of insurance technology (insurtech). Similarly, Lloyd’s work alongside the London Market Group on the initiative to enable ILS vehicles to be domiciled in the UK is “an important step in helping maintain London’s position at the centre of the global risk transfer market,” Steele explained in today’s report. So ILS and alternative capital are high up on the innovation agenda at Lloyd’s, in fact they are the first and only specific initiatives mentioned by Steele, perhaps reflecting the recognition by Lloyd’s that it has to embrace ILS and fast, or risk other markets eroding some of its business. With alternative capital and ILS recognised by Lloyd’s as gaining “mainstream acceptance, although at the expense of property reinsurance pricing,” it is clear that the market sees these initiatives as increasingly important to it. Today’s results reflected the pressure of competition and reduced pricing in insurance and reinsurance, as Lloyd’s market return tumbled and combined ratio rose despite the low incidence of major losses. That all suggests efficiency is required, both on expenses and in terms of capital, with the cost of capital used to underwrite at Lloyd’s needing to become increasingly efficient, in order to make returns go further in the softened market. That’s somewhere that ILS can help, and Lloyd’s report shows that it is now open to engaging with capital providers or ILS fund managers much more readily, than it perhaps was a couple of years ago. 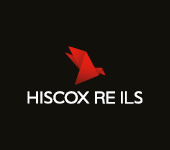 In the past Chief Executive Inga Beale had expressed a desire to embrace reinsurance convergence and new capital sources, but said that the market didn’t intend to open its doors to every capital provider showing interest straight away. The annual report published today cites Inga Beale as saying that Lloyd’s “proposals to embrace alternative sources of capital for the market” is a representation of its increased emphasis on innovation and that the market is open to change. The report states that Lloyd’s strategic goal in terms of innovation is to “enhance Lloyd’s activity in respect of product innovation, thought leadership, and alternative capital and alternative products,” which reflects just how important this topic is to the world’s oldest insurance and reinsurance market now. Parry cited the importance of vehicles such as the special purpose syndicate (SPS), a key vehicle which can be used by ILS capital to flow into Lloyd’s from the capital markets. “We know that the wider capital markets are interested in broadening their exposure and evolving from solely natural catastrophe ventures to general insurance. We will investigate options to enhance our capital structure and how we can harness these markets to maximise capital efficiency,” Parry continued. So not only is Lloyd’s actively seeking to create products specifically attractive to alternative capital and ILS, such as the Index, with these products featuring at the top of its innovation strategy, it is also running an engagement programme through which it hopes to attract more capital to the market. Lloyd’s has displayed a significant shift in opinion on alternative capital and ILS in recent years. The tone softened, became more accepting and now seems almost eager to welcome ILS capital into the market. Today’s results reflect a need for greater efficiency in Lloyd’s and perhaps the innovation surrounding ILS capital is one way to increase efficiency. What this means for incumbent businesses at Lloyd’s in time will be interesting to watch. 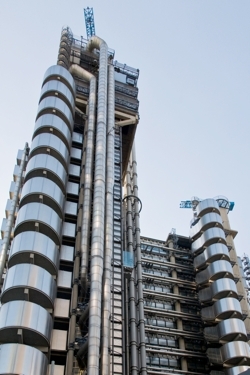 Could incumbent Lloyd’s underwriters become conduits for channeling risk directly to alternative capital, using structures such as SPS’ or fund’s at Lloyd’s? We’re already seeing some of this in the partnerships created between ILS fund managers and existing Lloyd’s businesses. But this could be taken much further. Imagine a Lloyd’s market with a flexible pool of efficient capital, that could be expanded or contracted as market conditions allow, available for Lloyd’s underwriters and syndicates to use to augment the stamp and central fund capital efficiency. Wouldn’t that seem like a reasonable tool to enable the Lloyd’s market to better navigate the softened re/insurance environment and its challenges? Perhaps Warren Buffett and Aon were onto something. For a more detailed look at how Lloyd’s has shifted increasingly towards embracing ILS and alternative capital read our article from December.